Wow, so I haven’t updated this blog in ages, so I thought I would write a short post even just to jog my memory and remind me that I DID do theatre last year! Actually, it’ll be remembering it all and sorting it into vague dates that will be the hard bit! My year in theatre 2014..
January- Auditioned for The Stepmother with YSCP and got the part of Lois Relph. This took up most of the first third of the year and was a brilliant experience. Also continued work with YTR Youth Theatre 16+. April- The Stepmother at York Theatre Royal. So much love for this play and the people involved. May- Entered my first Script Factor heat with my play Butter-side Up and won the round! July- A very busy month! It was the final of Script Factor at York Theatre Royal, and my play Going Up got the runner up place which I was really happy about. Then more acting with The Envelope Project and Richard Kay’s play Good Grief. Then there was The York Mystery Plays, acting as Annas in YSCP’s production Christ before Annas and Caiaphas – just about managing to escape the rain and eating many satsumas disdainfully in the process. August- Assistant Directed on a YTR Play in a Week – Persephone, which was a really fun summer project. Also took Going Up to the Arts Barge Riverside Festival, although we’ll know to have microphones next time! 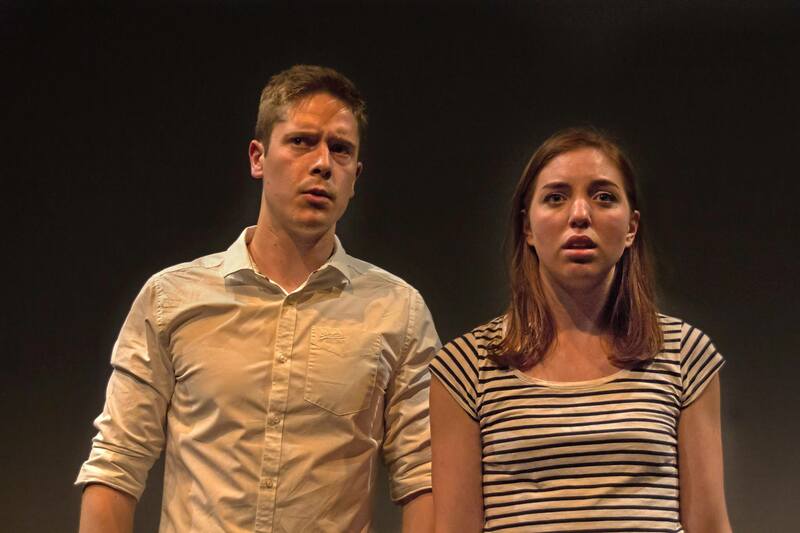 September- Took Butter-side Up to Leeds Corn Exchange as part of West Yorkshire Theatre Network’s NEXUS festival. It was a fantastic experience to take a little play of mine to an arts festival and get some good feedback – it was performed under my company Bird on Head. I also started assisting with the 8-11s at Youth Theatre. November- Treading the boards again with York Shakespeare Project as the pretty sadistic Morgan in All’s Well That Ends Well. Some great people and a play in the round, which was really fun to do. And some of the things I watched..
Nicholas Hytner’s revival of Timon of Athens couldn’t have come at a better time. It is a rather unloved Shakespeare play, rarely performed and probably rarely read. Thought to be a collaboration with Thomas Middleton, Timon has none of the familial or romantic relationships which endear us to other Shakespeare texts and it almost invariably has to be cut, rejigged and added to in order to make it more streamlined and coherent. Yet its themes of money, greed, credit and corruption, among others, make it fit, almost seamlessly, into a 21st Century context. It is this idea that the National Theatre production has great fun with. Despite the references in the script to Athens, Tim Hatley’s design is a recognisable London, complete with sky scrapers, swanky bars and art galleries, gift bags labelled with ‘Fashion Week’ and even logos on visitor passes for ‘The Senate of Athens’ which seem to be taken straight out of the House of Commons. It is the small details, such as this, which highlight the care that has been taken to achieve the vision. Sometimes, updating Shakespeare to a modern setting can look cheesy and gimmicky, but this production, for the most part, avoids that. There were a few decisions that jarred with me. Timon finding blocks of gold was left in, rather than him finding wads of notes that he chooses not to spend but to give away to those who come grovelling. In a production that had taken great care in printing lookalike £50 notes for the earlier scenes, I found it strange that the rioters would scramble on the floor for gold discs that they couldn’t go out and immediately spend. Equally, though I appreciated the relevance of making the rebellious mob akin to the London rioters, the cutting of Alcibiades’ part in Act One meant that when he finally appeared in Act Two, it felt as if the ‘sub plot’ had been shoehorned in, something which the production tried to get around by occasionally making the rioters march around the stage during scene changes which got rather tiresome and a bit obvious. However, the Alcibiades plot is also rather awkward in the text itself and Hytner did what he could with it. The majority of the acting was good, but I almost got the impression that you were meant to leave the theatre/cinema with an appreciation for the play and the staging than for the acting. Simon Russell Beale as Timon was impressive at showing the protagonist at the two ends of the spectrum of wealth. His Act Two Timon, shuffling around in his beanie hat and cast-off clothing, sifting through the rubbish bags for a cold takeaway to eat, was affecting. I also enjoyed Hilton McRae’s Apermantus, who captured his character’s misanthropy and droll wit effectively. However, some performances were more irritating and distracting. 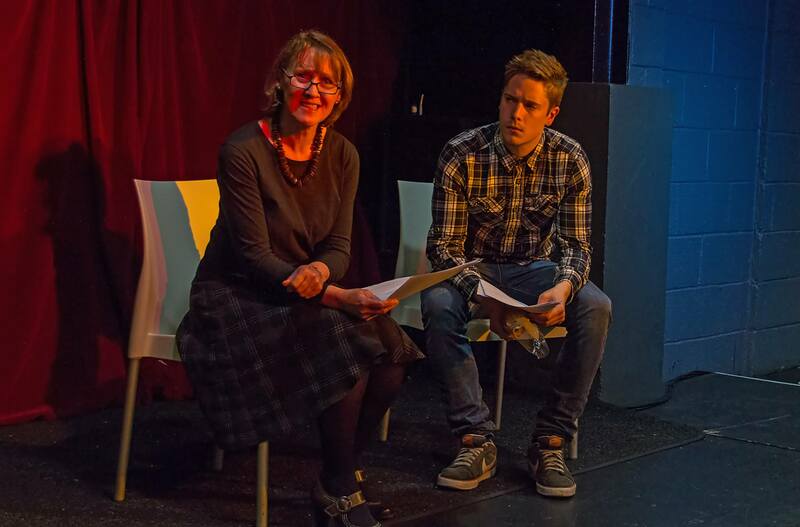 Deborah Findlay, as Flavia, for example, and Tom Robertson as Ventidius. Though I liked his Sid Vicious style characterisation at first, it increasingly looked as if he were overdoing the accent and playing for laughs. Overall, though, an enjoyable and stylish revival of a relevant play. I found it hard to believe it was written in the 17th Century.